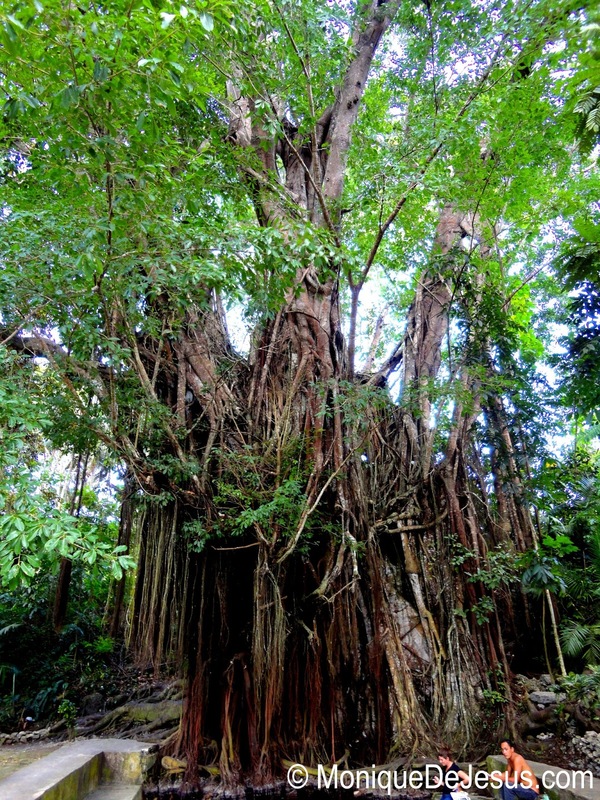 Island of witches, "kulam", "barang" - these are common concepts people usually connect to the island of Siquijor. Sometimes they also relate it to "aswang", which is totally wrong as this folklore is definitely not of Siquijor's. It could be true that there are supernatural forces working or existing within the island, but I came here not mainly for this, but to experience the one of a kind beauty of this piece of wonder in the Visayan region of the Philippines. 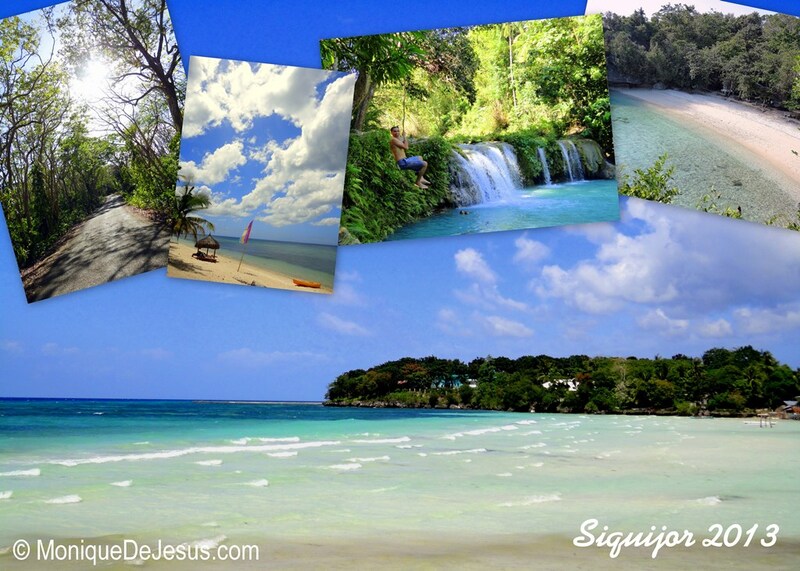 Let's go to what was known as Isla del Fuego (Island of Fire) - Siquijor! 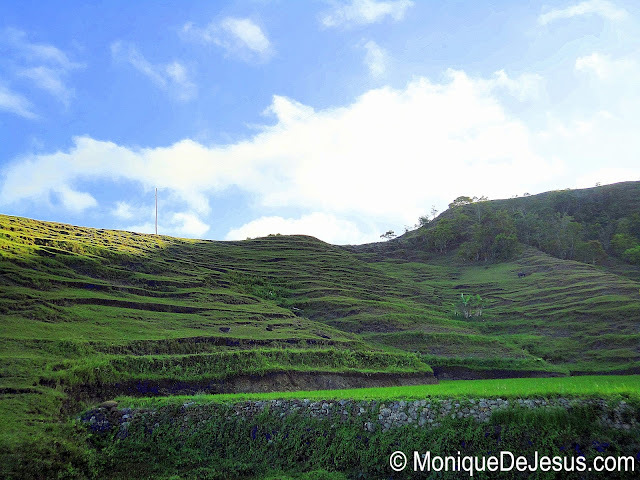 I have always wanted to visit this province as it was not so common for a holiday destination. True enough, during our short stay there were very few Filipino tourists, however several groups of foreigners were there to enjoy the island, which I found quite surprising. 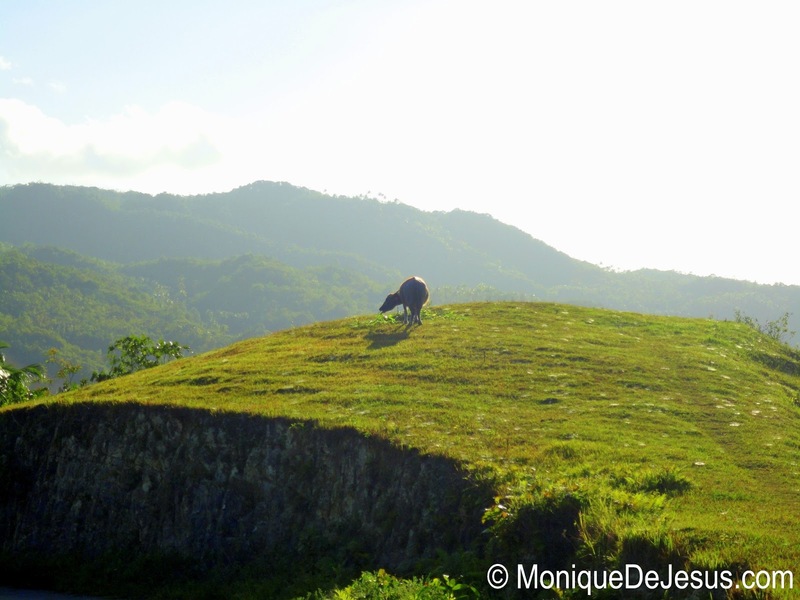 Maybe Filipinos are hesitant to visit the island because of the superstitions. 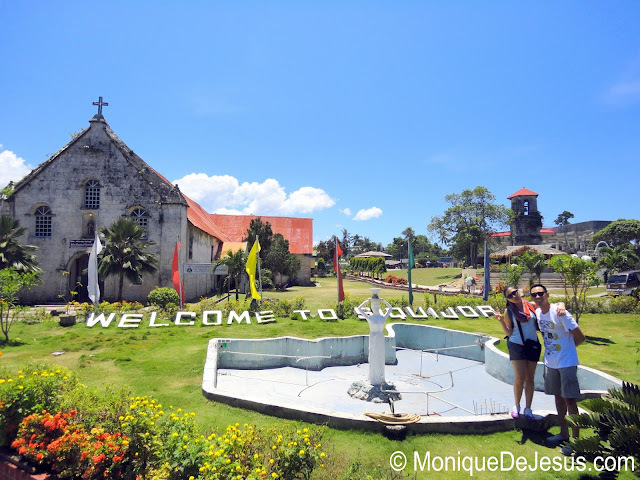 This trip was merely part of our Dumaguete-Siquijor trip, where we stayed 1 night in Siquijor and 2 nights in Dumagute City. Continuation to Dumaguete on a separate post. Fly to Dumaguete. In our case, our origin was Manila, we flew via PAL Express. 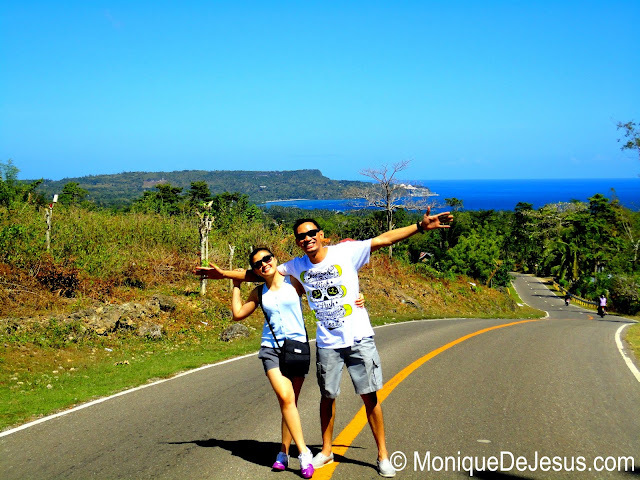 From Dumaguete Airport, ride a tricycle going to Dumaguete Port (pier). There are lots of tricycles just right outside the airport. We paid Php 150, which I think was expensive and could be haggled a bit more. If you're not coming from the airport, but from a different part of the city, the same goes. Just hail a tricycle going to the port. Siquijor - Dumaguete: 6:00 AM, 10: AM, 2:30 PM, 8:00 PM. Siquijor to Dumaguete: 5:35 AM, 5:55 AM, 11:15 AM, 2 PM. There are other liners which you can also check out. Ideally, we would like to catch the earliest ferry ride since we had an early flight and arrived the port a little bit past 9:00 AM. 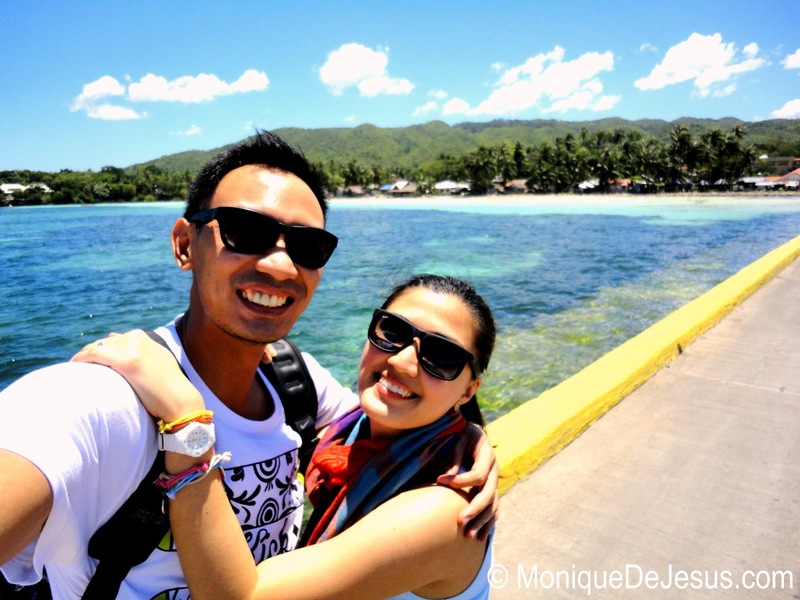 We were able to ride the 10:45 AM Ocean Jet trip to Siquijor. We waited for about an hour. 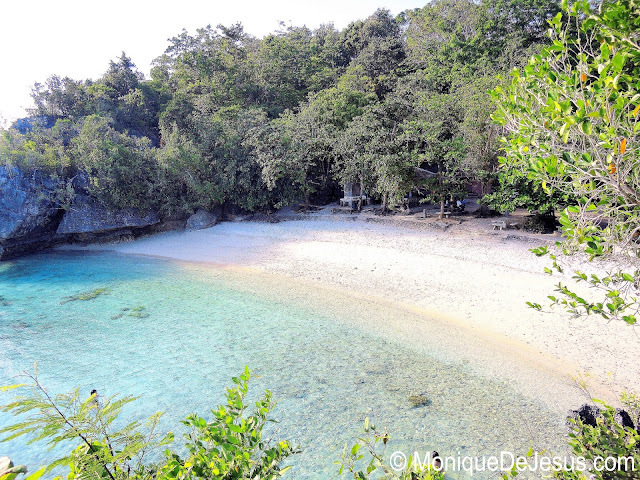 As soon as you stepped off the ferry, the beautiful white sand and clear waters of Siquijor will welcome you. Hop on a tricycle, you don't even have to look for them as they will be the ones coming after you, and you're ready to explore the island! You can go straight for the island tour, which was what we did, or to your resort first to check in and freshen up. 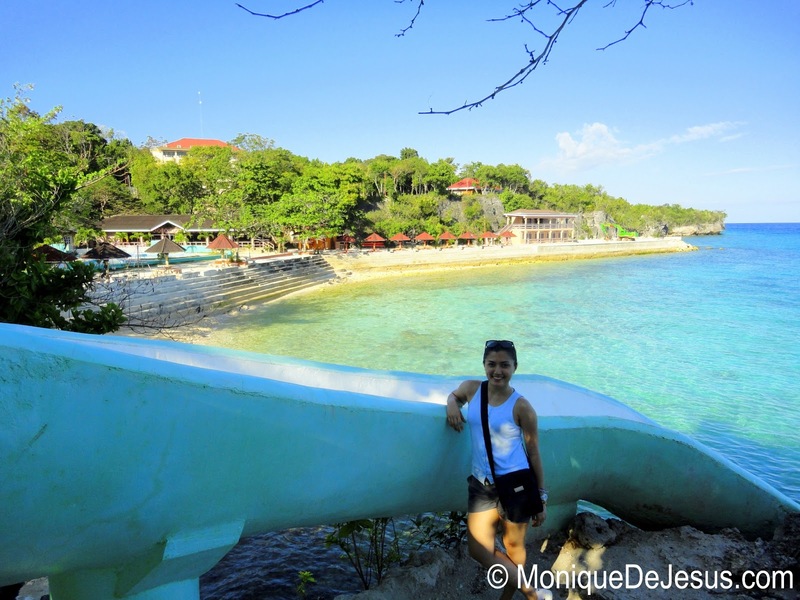 Siquijor Pier - As soon as you arrive at the pier, you would immediately see how beautiful this place is. As soon as we arrived the island, we wasted no time and began the tour! Kuya Jun found us making our way out of the port when he approached us with a Siquijor map and started pointing out the destinations of the tour. We agreed to pay him Php 1,000 for the entire island tour in his tricycle which will last for 4 to 5 hours; while a multi-cab which can fit 6 people will cost about Php 1,800. Don't forget to haggle! ;) Last stop would be your resort of choice where you will stay. 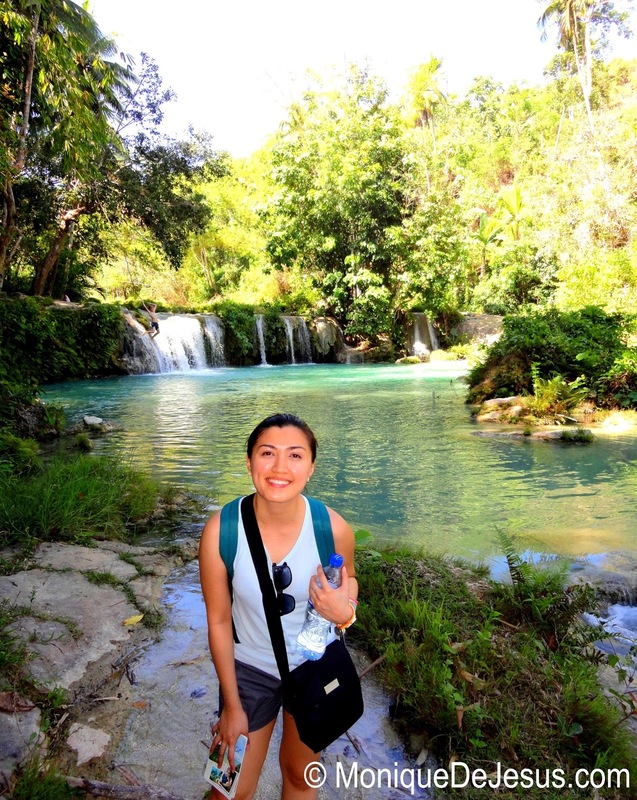 Siquijor's coastline is made up mostly of white sand beaches, so enjoy! Don't worry if you haven't arranged a tour before coming as there are lots of tricycles and multi-cabs whose drivers can also be good tour guides. They absolutely know where to take you. 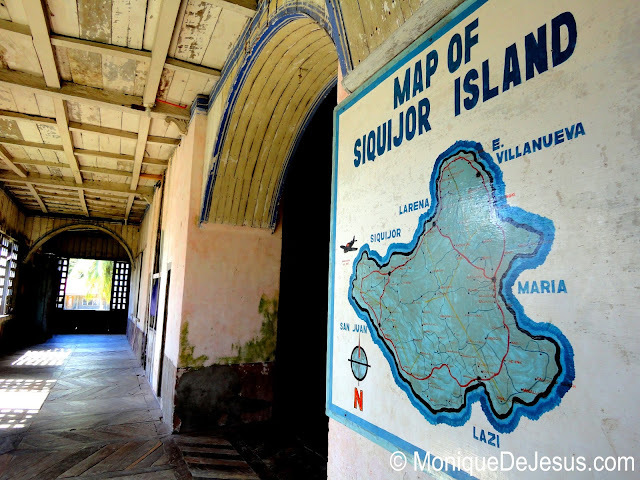 You can check the Siquijor map to know if you missed a stop. All the tourist destinations can be found there. 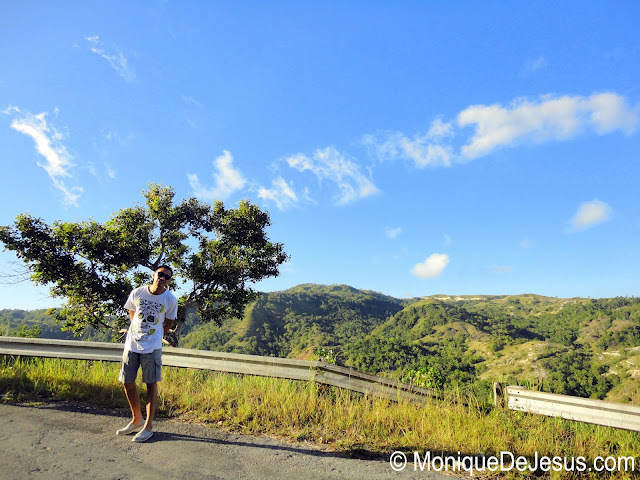 Alternatively, you can rent a motorbike for about Php 350 per 24 hours and drive around the island by yourself. 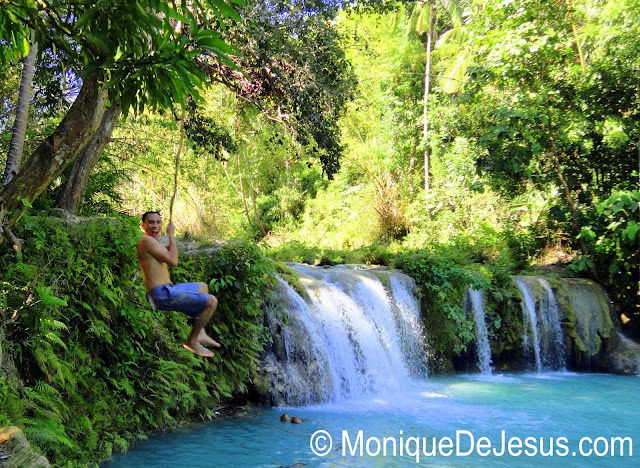 On the last part of this post is a summary of our 2D-1N Siquijor itinerary. However, I recommend you to read on to get some helpful tips as you tour the island. There are no restaurants along the way so grab lunch and be sure to fill up in this stop before heading for the tour. There's nothing special with the food served. The cost was cheap though, our total bill (for 2 persons) was only Php 169. 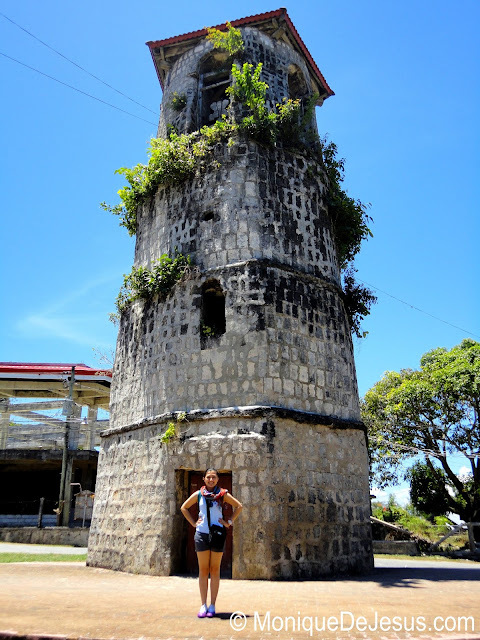 A century – old religious heritage in this island is the St. Francis of Assisi Bell Tower and Church. 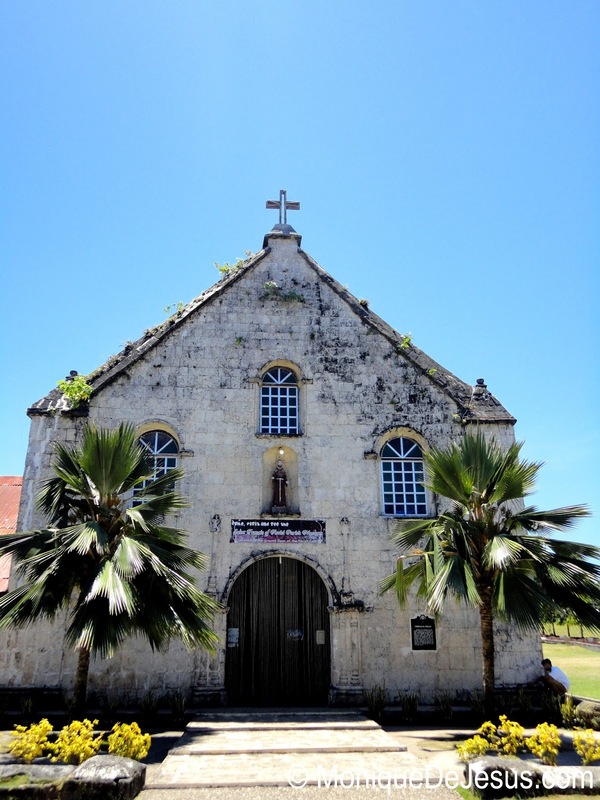 Made up mostly of corals, the church is located near the local pier to give the travelers a grand "Siquijodnon" welcome with blessings and goodwill upon arrival at the Siquijor Pier. Kuya Jun took us to a small souvenir shop as we were getting the tour started. It was the first and last time I encountered a souvenir shop (aside from the one in the resort which for sure was expensive), so go grab some pasalubong and that ref magnet collection. :D Ref magnets only cost Php 35 each or 3 for Php 100. There are other souvenirs too like mugs, tumblers, key chains, shirts, etc. Before the next stop, Kuya Jun brought us to their Municipal Hall to ask for more maps for me and Yan from their Tourism office where we signed a log book. With this, we were sure that we're safe with our tour driver. I could say that I was surprised to find that tourism in this small and secluded place was quite organized compared to others. All entrance fees have official receipts and so on. 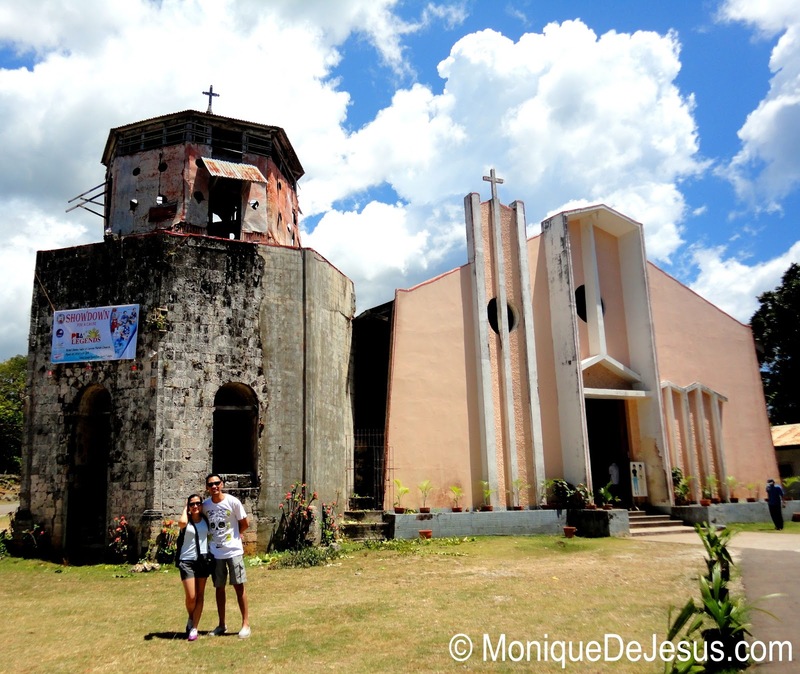 From this church, take the steep stairs going down to see the Capilay Spring Park. 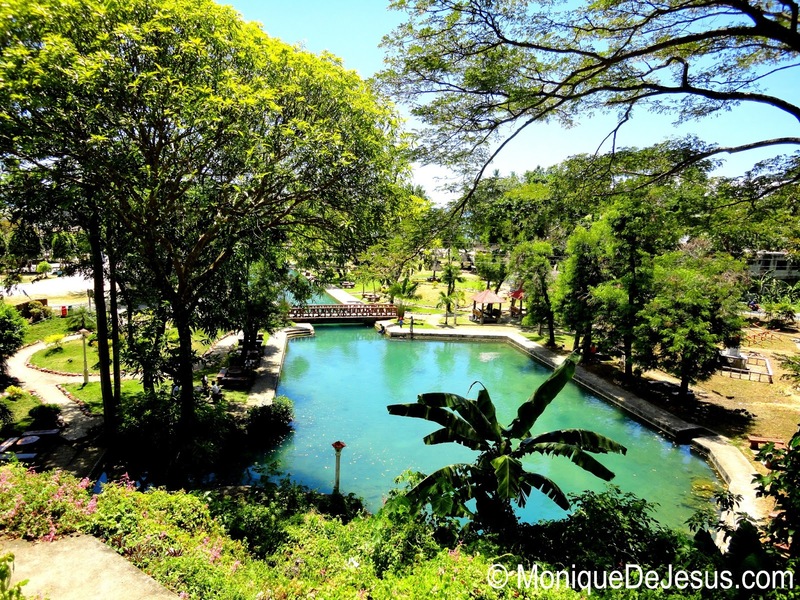 There are 3 refreshing fresh water pools fed from the springs at this spring park where tourists and locals can swim to cool down especially during the hot summer days. After this, we passed by Coco Grove quickly to leave our luggage since it's on the way. Where this huge majestic tree proudly stands can be found a small pond where you can get a free fish spa from the resident fishes! Yan tried it. 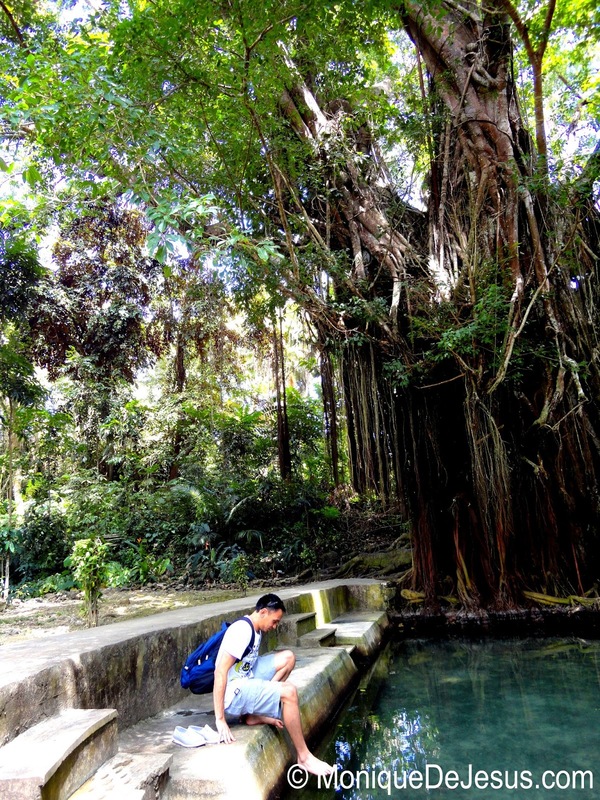 Free fish spa at the Balete Tree Siquijor! In the town of Lazi in Siquijor can be found what is known as the biggest convent in whole of Asia. If you are an enthusiast of historical artifacts and places, don't miss the museum. The museum inside the museum itself was old, you can see the years endured by the walls of the convent. This was a favorite! This multi-tiered waterfall was a very refreshing stop. The water was clear and calm. There were 3 pools, one of which was shallow and ideal for swimming, even kids can swim. Yan also took a dip, I was so envious as I did not bring any swimming outfit or even extra clothes for changing. There was, however, no changing room here. So it's convenient if you're wearing your swimsuits under your clothes. Don't expect to get a shower after bathing in the falls' pools. The water was so refreshing. It was Yan's favorite stop too. The path leading to the waterfall was steep and quite slippery, but once the falls come into view, you'll see it's worth it. Originally, we planned to stay in this government-owned resort. Their hotel is called Agripino Hotel located in the hill side of this beach. A room for 2 only costs Php 1,300 a night. The beach was so beautiful, relaxing, and ideal for swimming, that's why I loved it. However, upon booking via phone the kind staff told me it's 2 hours away from the port. And thus, our decision to switch to a much nearer resort, Coco Grove. 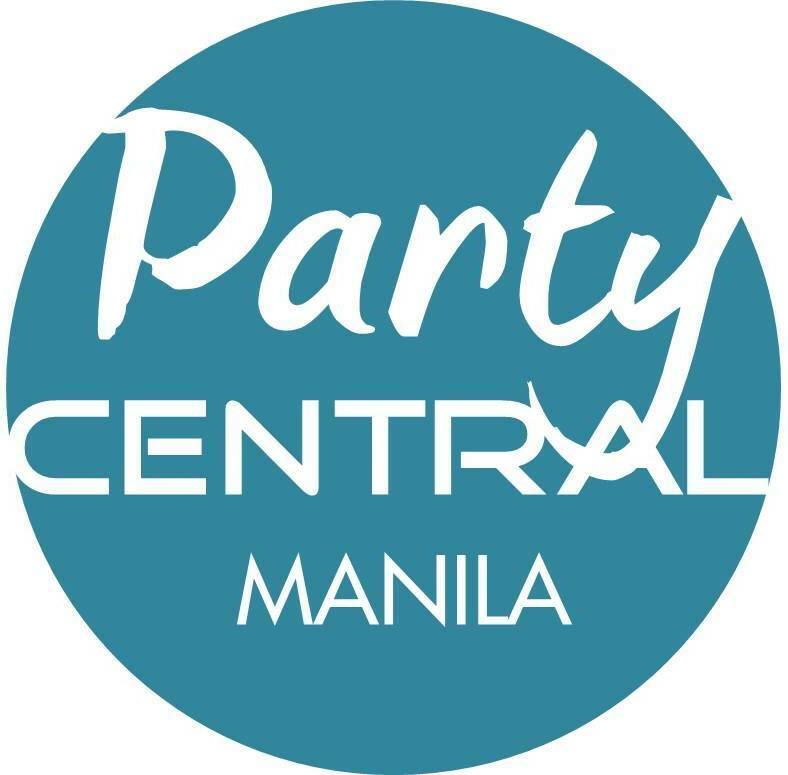 This stop was not supposed to be part of the Php 1,000 tour. The tour cost was supposed to be Php 1,200 if this was included, but we haggled for it to be part of the tour with no additional cost. It was already 5 in the afternoon when we made it here. The view on the way was just awesome! It's priceless. However, going back I was afraid it would be dark already and there was definitely no lamp posts to give us light. We were inside a forest and the road going back was steep and by the cliff. So I did not think it would be a good idea to travel at night. We passed by a group of towns people gathered and seemed to be having a small feast. I could see chickens ready to be cooked, big pots, women, men, children preparing for some kind of a gathering. When our tricycle passed by, all their eyes were on us. As our vehicle sped away, they were still looking at us. It was so creepy. When we arrived the spot, Kuya Jun told us we can trek going up and he will just wait for us to get back. I was hesitant, but Yan, being a dare devil, really wanted to go. So we made our way up, it was steep. It was past 5 PM. We have not reached so far when we were stopped by a log obstructing the way. We could not move on, so I decided to call it a day. It could be a sign not to continue anymore. 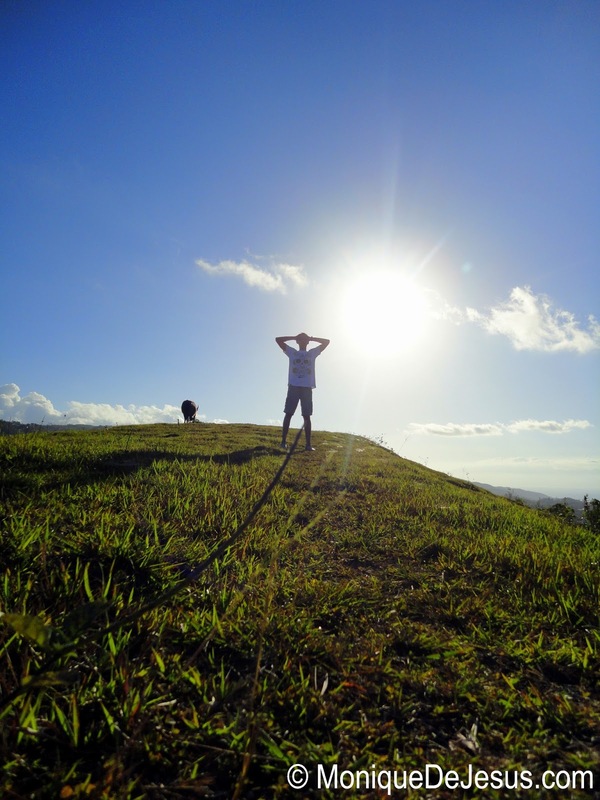 With no guide, there are chances we can get lost up there and it's starting to get dark. So we made our way back to Kuya Jun, he was smirking and said, "Bakit? Natatakot kayo sa aswang? Walang aswang dito. Mangkukulam marami". On our way back, I felt weird, scared. There were some instances where Kuya Jun would make weird noises from his tricycle, Yan said he did it when we passed by bridges, maybe to say "excuse me" to entities who might be living there. He also kept looking on the side of the forest on a certain point, he seemed to be waiting or looking for something, I don't know exactly. I asked about a stop where we can witness folk healing and Kuya Jun said we can visit this famous 86-year old lady doing healing, but on the next day. Her photo's even on the map cover. Kuya Jun said there were lots of foreigners going there to get "healed". We did not get the chance to see this. 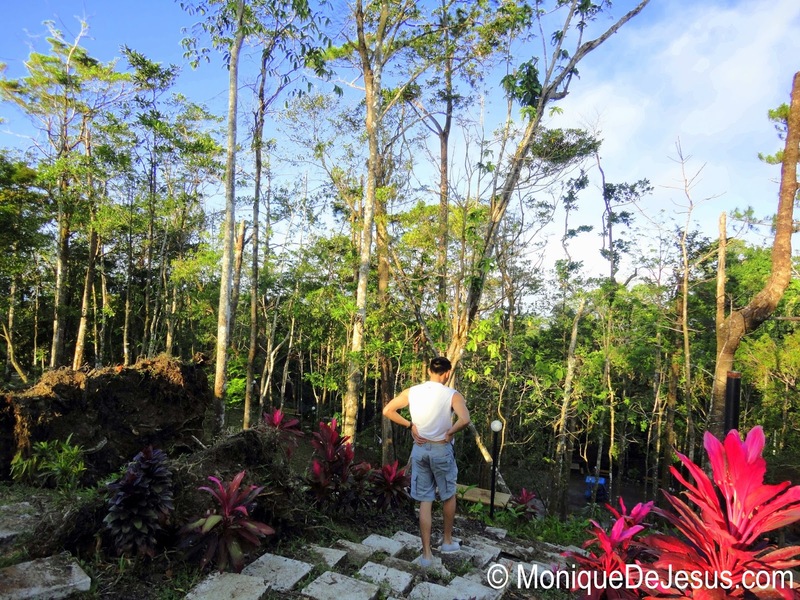 When we finally made it to Coco Grove, I was more than relieved. Yan would keep saying I chickened out again. It's better safe than dead! Mt. Bandilaan was not a favorite stop as we did not really made it on top, but the view along the way going up was a champion in itself. 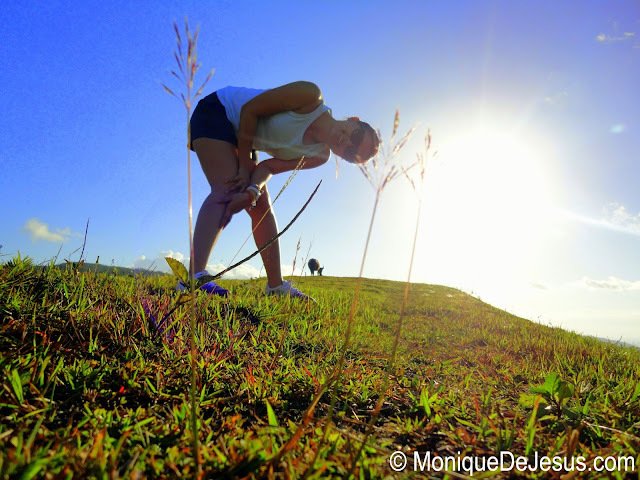 I cannot describe how high I felt as we got higher and higher off the plains, and the view, the view was spectacular! We made a few quick stops along the way to take photos, I can't miss that view. Still, photos could not justify the true beauty of the place. 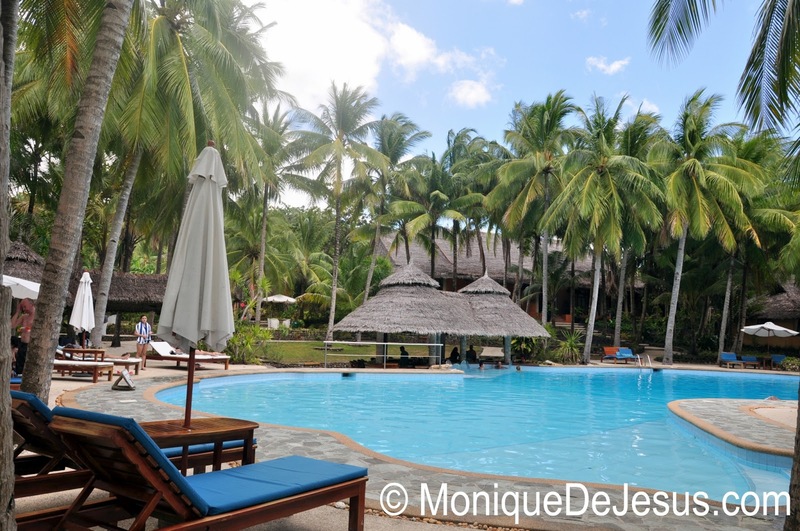 The decision to switch to Coco Grove Beach Resort for our accommodation was well made. Yan and I were very happy with the resort, the staff, the service. Everything was just wonderful and can be considered first-class. Upon checking in, we were given a map of the resort. It was unexpectedly huge! 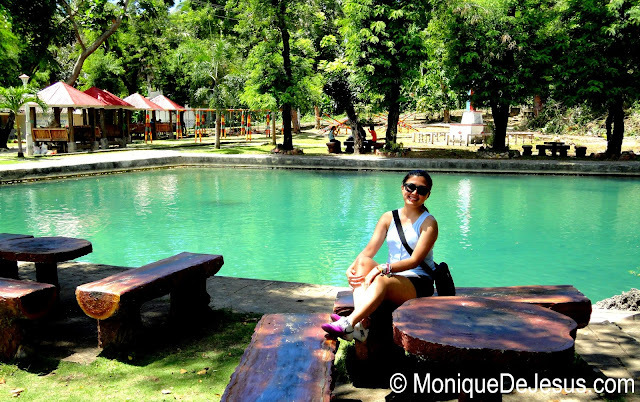 There were 2 restaurants, 2 swimming pools, a dive shop, fishermen's village, a bird sanctuary. They also have their own marine sanctuary where guests can snorkel. We had a really wonderful time, and quite regret that we only booked for 1 night here. 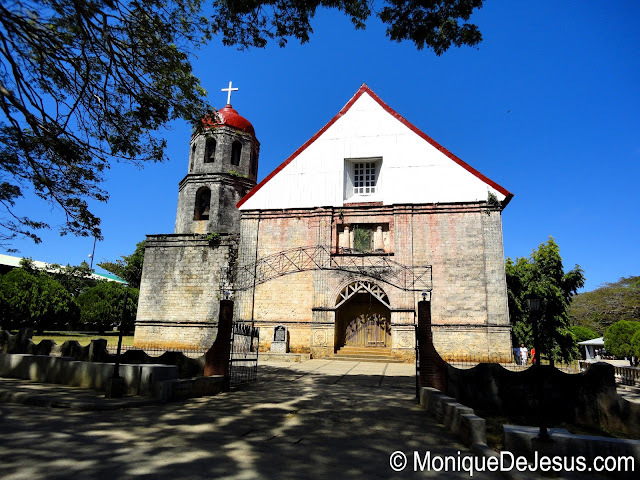 We could have changed our plans if not already booked in Dumaguete City for 2 nights. To see more of Coco Grove, watch out for a separate blog post to be published very soon. A premiere resort with world-class service for as low as Php 2,700 a night, not bad eh? Let's do a re-cap of the itinerary, shall we? 9:00 AM - Arrive Dumaguete Port. Buy ferry tickets. 11:45 AM - Arrive Siquijor port. Get a tricycle to do an island tour. Last stop would be the resort where you will be staying at. 4-6 PM (depending on your stops and length of time spent in each) - Arrive at the resort, check in. 1:30 PM - Leave resort and head to Siquijor Port. 3:30 PM - ETA Dumaguete Port. Ride a tricycle going to the airport or your hotel if you'll still be staying in the city. We did stay for 2 more nights in the very nice city of Dumaguete. 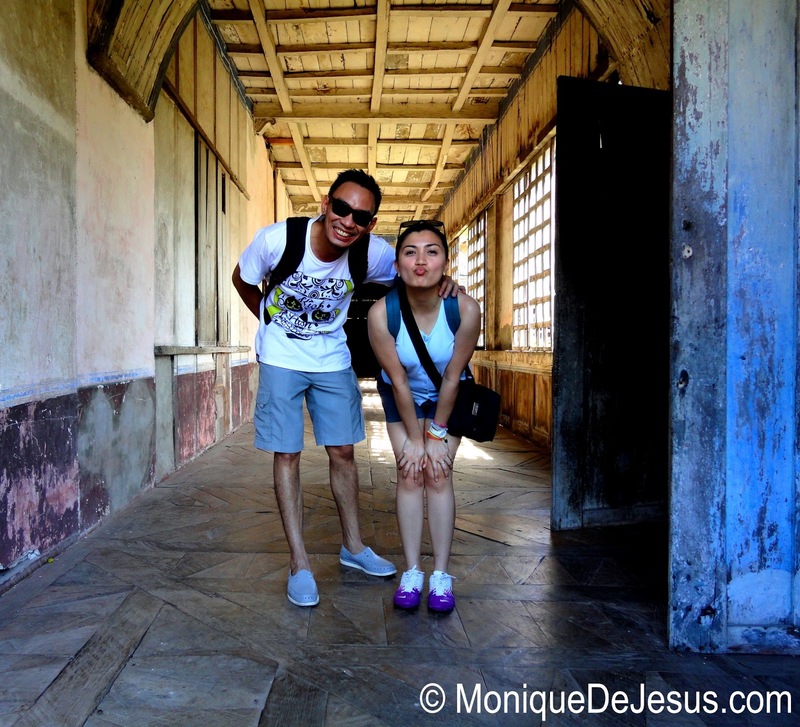 Check our Dumaguete tour here. As mentiond, this itinerary was merely part of our Dumaquete-Siquijor trip. 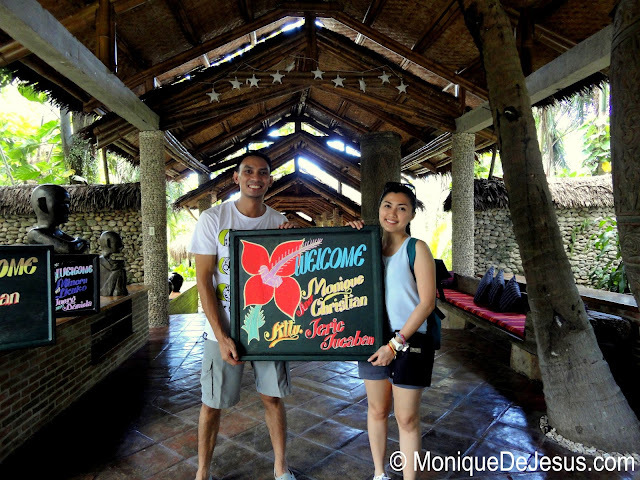 So after the Siquijor experience, we went back to Dumaguete City and checked in at Go Hotels Dumaguete. 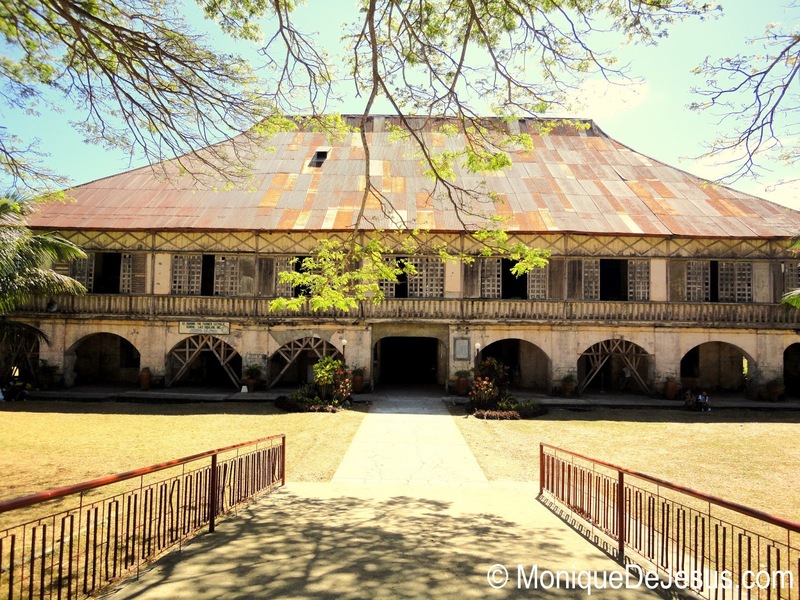 Click here to read the Dumaguete itinerary. 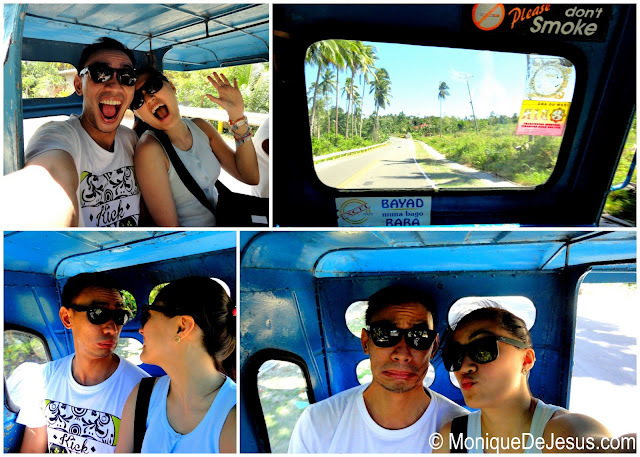 And that was our quick Siquijor island tour. Hope it helped you in your own vacation plan!